Drought is an unavoidable hazard of farming in Australia. As the economic pressure mounts from the current drought in northern New South Wales and Queensland, there is increasing stress on farmers in the region, including in the dairy industry. The federal government has stepped in with assistance, including schemes such as the Farm Household Allowance and Dairy Recovery Concessional Loans. At the state-level, broad drought-relief measures have cost the taxpayer over $1 billion in New South Wales alone. A subsidy-like mechanism has the potential to run afoul of international measures Australia has otherwise supported to prevent trade distortion. There is talk of further support. Federal Minister for Agriculture and Water Resources David Littleproud has recently touted for the introduction of a price levy of 10 cents per litre for Queensland milk at the retail level, with support from the Queensland Dairyfarmers’ Organisation. Yet a retail levy is only really a direct subsidy, and the creation of this subsidy-like mechanism has the potential to run afoul of international measures Australia has otherwise supported to prevent trade distortion. Such a risk needs to be put in context. Queensland is only responsible for around 5% of Australian dairy output, and regional subsidies hurt the brand of more competitive farming in Victoria and Tasmania. Of Australian milk production in 2017, 37% was exported. So any domestic price-maintenance regime must be mindful of World Trade Organisation trade rules. Because so much of the product goes to export, there cannot be a farmgate subsidy or else the industry will find itself in WTO amber box territory. World trade is rife with reciprocal and parallel trade practice. Is protecting the Queensland dairy industry really worth losing other sectoral trade over? Australian agricultural products are often promoted to be the next export sector to ramp up as iron ore and coal markets start to backslide on falling Chinese demand for steel. While New Zealand is gearing up for a China-led demand boom, China can buy subsidy-free New Zealand milk, and could tell Australia that it is in violation of international trade rules. And how will Australian dairy ever be able compete with New Zealand’s clean, subsidy-free produce in Asian consumer markets if production is still dependent on government handouts? The Australian dairy industry does have a problem with retail prices. But much of the current woes with retail prices is due to institutional problems at the processor level. An April 2018 report from the Australian Competition and Consumer Commission into the dairy industry found no correlation between retail prices and prices paid to farmers: processors’ contracts for milk supply would still deliver the same prices to farmers if retail prices were raised. China is currently reforming its agriculture sector to bring greater market forces to price-setting, capital allocation, production, and risk. If China can introduce market reforms to its agriculture sector, then it would seem counter-productive for a trading economy such as Australia to orchestrate what would amount to price-fixing. Ultimately the Australian dairy industry is struggling through a structural problem that the rest of the developed world has already solved. Weather-based agricultural insurance is the answer to dairy farming in drought-prone geographies. And a competitive dairy industry, free of government trade distortion, is necessary if Australian agriculture is to continue to pursue Asian consumer markets. 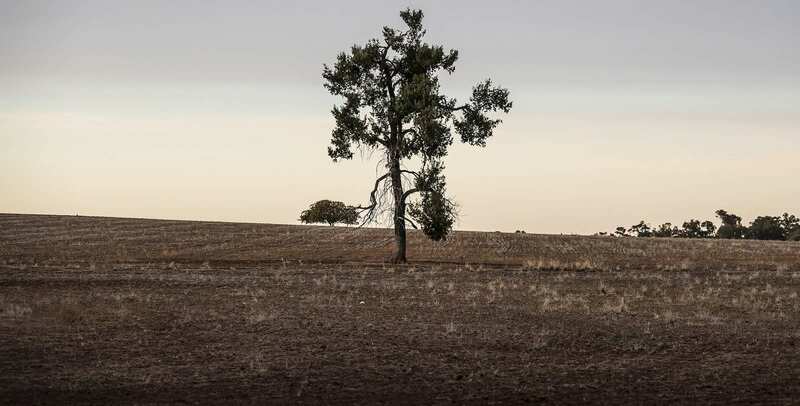 Drought insurance has been the subject of domestic Australian policy debate in recent years. But New South Wales rejected the proposal to introduce what is known as multi-peril crop insurance into Australia. It is not fair to expect taxpayers to carry the risk while industry avoids the transition to multi-peril, weather-based or indexed crop or livestock insurance. Drought insurance would be a more effective policy measure to protect dairy farmers than either direct household assistance or price-maintenance. The United States and Europe have long since integrated this market mechanism into their agricultural production systems, benefiting domestic production, export product, consumers and farmers – all without having to resort to trade-distorting direct subsidies. Drought insurance is a market mechanism, so it takes the burden off the taxpayer to bail out unproductive agribusiness and it protects the farm from short-term weather risks causing massive long-term structural disruptions. Higher premiums would apply to less productive farms that choose to farm in areas with less water resources. It should not be difficult for the global insurance industry to design a product to mitigate the weather risks of Australian dairy production. Yet lobby-groups in the Australian agricultural sector have persistently clung to government handouts. If Australia is to have a viable international dairy industry, and if these persistent weather risks are indeed foreseeable, then Australia needs to leave the subsidies behind and face the market. Drought insurance is the logical long-term solution as Australian dairy farmers increasingly forge new paths into Asian markets.